With record-breaking numbers of over 33,000 registrants and a third exhibition hall to accommodate the 1,420 exhibitors, this year's IPPE was one for the books. Its scale represents the increasing demand for poultry meat and eggs which are proving to be the most promising protein to meet the needs of a growing global population. We met with industry leaders from around the world who are working to improve the health and performance of the humble chicken. From LivEgg's in ovo chick-sexing technology to Intelia's AI-powered broiler weight prediction technology, innovation took the stage at this year's IPPE. But one theme pervaded all of our discussions: data will be the driving force behind future progress in poultry. 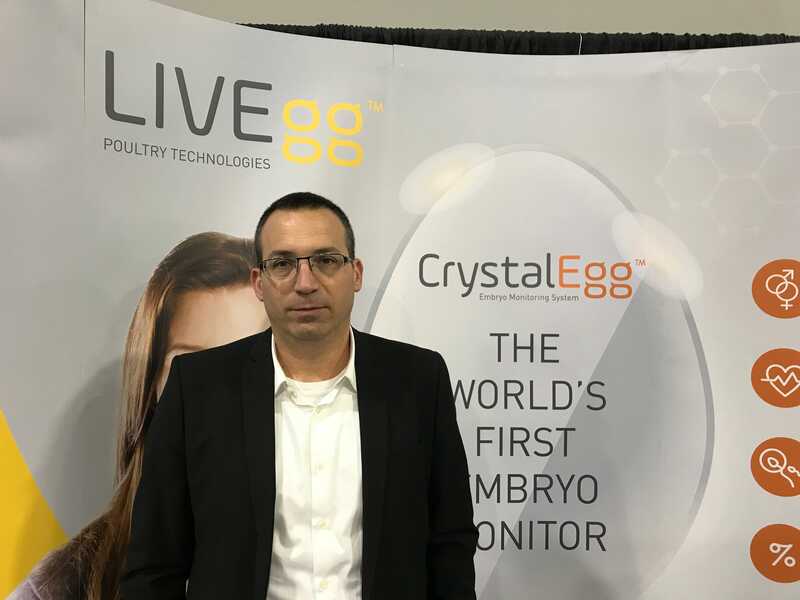 "It's undeniable that [data] is the future of poultry," said LivEgg CEO Alon Blum. But data alone is not significant unless applied. One application of this, is blockchain technology. It was clear before this year's show that blockchain was going to enter the poultry industries, but Senior Director of GS1 US Kevin Otto narrowed down just what it is and how it will affect them in a presentation at IPPE. He described that the value in blockchain is in the sharing of data which benefits both producers and consumers. In a world where consumers are demanding transparency, data and blockchain can deliver trust in the food chain while also allowing producers to improve the quality and quantity of their products. Shifting to animal health, "big data" has also been a key component in the research and development of animal health and nutrition companies such as Ceva and Adisseo in their efforts to find solutions to curb antimicrobial resistance and improve flock health. For our full wrap-up of the latest innovations from IPPE 2019, look out for our March edition of Poultry Digital Magazine where our interviews from this year's show with up and coming poultry tech leaders will be published.